The Fitbit Surge is the new activity tracker, which is developed with the heart-rate monitor feature. The prefect tech in a wearable way to monitor your activities. It also included with the features for the really committed sports and fitness and so on. Along with the heart-rate monitor, which also tracks your activity such as step count, floors climbed, calories burned and active minutes. The Fitbit Surge is quite different from the other rivals, let’s see what are the features of it. The Fitbit Surge looks like a watch, when compared to the other fitness wristband, which is some what enhanced way of using. The Fitbit Surge has a full eight sensors such as 3-axis accelerometers, gyroscope, compass, ambient light sensor, GPS and heart rate. This means the Fitbit is the right one offers much more than the other rivals. Resembles other wrist band the Fitbit has a MEMS 3-axis accelerometer that measures motion patterns to determine your steps taken, distance travelled, active minutes, and calories burned. 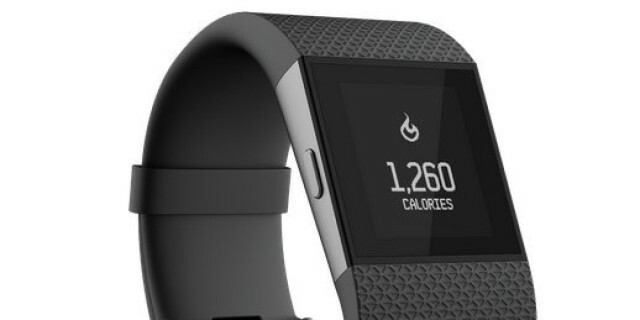 But the upcoming Fitbit Charge and Charge HR wristband has a features an altimeter that measures floors climbed, to push you to take a more challenging route on your next walk or run. But the Fitbit Surge’s heart-rate monitoring beats all other Fitbits and most other activity trackers with its wide range of multi-sports and exercise functions. It having the ability to track and maintain record of multi-sport activities such as running, cross-training, hiking and cardio/strength workouts, and more. Unlike other wristbands the Fitbit use the built-in GPS to track run, walk and hike stats and map routes. So if you are a sports man, you don’t need to carry your smart mobile everywhere while you running, jumping or lifting weights, because the Fitbit itself works well with mobile Run. So keep your mobile aside and concentrate on your exercise. Mobile Run and Surge are the best partner to record distance, average pace and split pace times as well as controls music. So you can use it to select and shuffle songs on your iPhone. You can view the history of your routine exercise from the past four weeks, to view this simply tap on specific runs for an expanded view. It shows the details about your steps, calories, and active minutes taken during your Mobile Run. As similar as Charge the Surge measures the duration and quality of your sleep. Good sleep is the vital key behind the fit and healthy lifestyle. The Fitbit detect your sleep level automatically. It also help you to walk up at right time with vibrating alarm and does not wake others if anyone nearby you. It also help you to get in touch with all incoming call notifications using Caller ID. The Surge watch your heart all activities around the clock without placing any strap to your chest. It works on the PurePulse optical heart-rate technology, which uses safe LED lights on the underside of the wristband to detect blood volume and capillary-size changes under pressure. This LED lights never harm your skin and it will shut down automatically if your device freezes or doesn’t see the right signal. PurePulse allows users to track workout intensity and calorie burn with algorithms that provide insight through interactive charts and graphs on the app and Fitbit dashboard. Try out this Fitbit Surge!